This entry was posted	on Tuesday, November 17th, 2015 at 12:18 am	and is filed under Blog, Eric Merola. You can follow any responses to this entry through the RSS 2.0 feed. You can leave a response, or trackback from your own site. Thanks for posting Eric. If we are all watching its harder for them to pull a fast one. I wish it wasnt my busy season, I would fly to Texas and protest. I appreciate all that you are doing!!!! 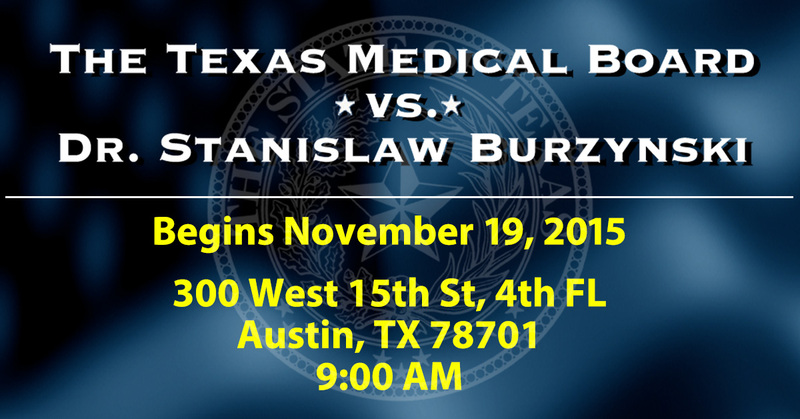 It’s your efforts that have given him enough momentum to shake loose of the Texas Medical Board grip. I really want to protest outside the house of each Texas board member. Good luck to Burzynski and all alligned with him. Keep up the good work Eric. We are praying that this will get thrown out. Such a waste of time in the name of greed. We will be there if the lawyers need us to testify, Kendra also.